facility in the National Capital with a monthly permissible usage of 1 GB with 1 Mbps speed. Delhi Dialogue Commission vice-chairman Ashish Khetan said that during the initial phase, free Wi-Fi will be provided in the government and private colleges with the set limit of usage within a year's time from now. Khetan added that the rural areas in Delhi and unauthorised colonies will get the facility in the second and the third phase respectively. “The minimum speed of the Wi-Fi that we are proposing is 1Mbps for good user experience and each user should get 1GB of downloads for a month free. In the first phase, which should not take more than one year to complete, free Wi-Fi will be available in both private and government colleges in Delhi”, said Khetan. Delhi Chief Minister Arvind Kejriwal on Friday denounced the eviction of the protesting ex-servicemen from Jantar-Mantar in New Delhi. Kejriwal urged Prime Minister Narendra Modi to accept the protesters' demand of One Rank One Pension (OROP) this Saturday on the occasion of the 69th Independence Day of the country. He tweeted, “Ex-servicemen being forcibly thrown out of Jantar Mantar? Bizarre. They protected us till yesterday. Now they are a security threat for Independence Day? Within a year, the NDA has started behaving the way UPA behaved in its second term. This is how UPA-II would crush movements”. A resolution against the stay on the hike in circle rates of the agricultural land in Delhi given by Lieutenant Governor Najeeb Jung was passed by the Delhi government on Thursday. The LG having given the stay on the government’s orders had returned the file to the Cabinet and asked to omit “inherent inconsistencies”. A Delhi government official said while talking to the media, “The resolution against the Lt. Governor's stay on the circle rates was passed in a Cabinet meeting held today (on Thursday) at the secretariat”. Earlier, Jung had put the orders on hold maintaining that the government had not consulted him before issuing the orders, to which the AAP government had expressed strong resentment. A delegation of farmers called on Delhi Chief Minister Arvind Kejriwal on Thursday and urged him to release the amount of compensation promised by his government to the farmers whose crops were ruined by unseasonal rains in February. Rakesh Tikait, President of Bharatiya Kisan Union said “We met Kejriwal and demanded the release of funds to the farmers. He has assured us that he will do it as soon as possible. He told us that the reason behind the delay was the lack of funds with the government”. Compensation to the tune of rupees 50,000 per hectare was promised to the suffering farmers by the AAP government in Delhi. The stage seems set up for the participatory governance scheme of the AAP led governance in Delhi as 11 legislative assembly constituencies in the National Capital have witnessed the introduction of Swaraj Funds in them, said a government official. An aggregate budgetary allocations of Rupees 220 crore is made for the 11 identified assembly segments, which held the 'mohalla Sabhas' before the presentation of Delhi Budget for 2015-16 in the assembly, an official from the Finance Ministry said. “For the remaining 59 constituencies, a total of about Rs. 30 crore has been allocated”, he added. The AAP government in Delhi decided on Wednesday that it would sell onions at an even lower price of Rs. 30 per kg. Once again, the onions will be sold through Fair Price Shops (FPS). The decision was taken at the cabinet meeting led by Chief Minister Arvind Kejriwal. The government had started selling it at Rs. 40 per kg as prices continued to soar high. Asim Ahmed Khan, the Food and Supplies Minister of Delhi, told media that “We want to bring down the price of onions more in the market and in view of this, government has decided to sell them at a subsidised rate – Rs. 30 per kg”. Delhi Chief Minister Arvind Kejriwal on Wednesday approved the compensation of an additional Rs. 5 lakh to the kin of the 1984 anti-Sikh riots victims. The decision was announced by the central government. The recommended amount of compensation was approved in the cabinet meeting presided over by the CM. A senior government official said that the Delhi government will act as per the announcement made by the Union Government and thus has decided to give away cheques worth Rs. 5 lakh to the kin of the victims. The additional compensation will be refunded to the Delhi government by the Centre later on. The Chief Minister of West Bengal Mamata Banerjee called upon her Delhi counterpart Arvind Kejriwal on Tuesday over dinner. The two, reportedly, discussed ways to find common grounds and work together in times to come. After the meeting, the West Bengal CM said, “States will move ahead and the Centre will also move ahead if we work together, if the state and federal structure is strong, the Centre will be strong”. Kejriwal reiterated Banerjee's words, he said “If we want to take the nation ahead, we all will have to come together on many issues. The Trinamool Congress has been raising issues of the poor in West Bengal, the AAP has fought for rights of the common-man, have many common grounds, will work together”. The AAP led government in Delhi has been slapped a fine worth 1 lakh rupees by the National Green Tribunal (NGT) for allegedly not submitting satisfactory replies to it in connection with the STP (Sewage Treatment Plans) and CETP (Combined Effluent Treatment Plans) despite several warnings. The Tribunal, that looks after the clean Yamuna drive, asked the Kejriwal government to procure this amount from the salaries of the erring government officials. The city government has also been directed by the green bench to ban all the illegal factories running in residential as well as industrial areas of the National Capital within next two weeks. Delhi government's proposed 'Swaraj Parv', a three day Independence Day celebrations programme, has been called off. Delhi Home Minister Satyendra Jain cited the unabated rains in Delhi behind the cancellation of the event. He said, “The Swaraj Parv has been cancelled by the government, incessant rain being the reason behind its cancellation”. The event was slated to start on 14 August and go on till late evening of 16 August. The AAP led Delhi government and the Delhi Police have come face to face yet again over Independence Day Celebrations . While the Kejriwal government announced on Monday that it was going to organise Independence Day Celebrations on 15th August at the Central Park, Connaught Place in New Delhi, the Delhi Police, citing security reasonsrejected the government's proposal outright. As per the sources from the Tourism Ministry that is organizing the event, the event will be called the 'Swaraj Parv' and will include musical drama, Urdu Mushaira, Hindi Kavi Sammelan and performances by 12 Indian bands and artists. The face-off between the Arvind Kejriwal led Delhi government and Lieutenant Governor Najeeb Jung may possibly escalate further as the LG on Monday informed the city government that the hike in circle rates of the agricultural land are being thought over and the situation is being examined by his office, whereas the Delhi government had last week issued the notification pertaining to the hike without his approval. Delhi Chief Minister Arvind Kejriwal on Sunday accused Modi government of “blocking" AAP's development plan. Referring to the arrest of three lawmakers in six months, he mocked Delhi police for focussing more on AAP's MLAs than the security of common people. The first bench of Chief Justice Sanjay Kishan Kaul and Justice T S Sivagnanam of Madras High Court to hear PIL on advertisement blitzkrieg by the Delhi CM. Captain A Nagarajan, an ex-IAS officer, had moved the court and also sought penal proceedings against Kejriwal under Prevention of Corruption Act for “reckless” abuse of public funds. AAP MLA Alka Lamba was injured during an anti-drug drive in Delhi on Sunday. A 19-year-old has been arrested for pelting stone at Lamba. According to the MLA from Chandni Chowk constituency, the boy had lobbed a stone when she opposed the encroachment by some shopkeepers in the Kashmere Gate area. The government schools in Delhi will get high quality water connections by 2 October, as announced by the Delhi Jal Board (DJB) Chairman Kapil Mishra on Saturday. According to officials, the Department of Education has been asked to prepare and submit a list of schools having no water connections. The DJB will expedite the process of supplying quality water. The Central and Delhi governments decided to collaborate to clean up the Yamuna river in the capital. After a meeting between Delhi CM and Union Water Resources Minister Uma Bharti on Saturday it was decided that they will use a Special Purpose Vehicle for this project. A blueprint is likely to be prepared in 45 days. Ashok Thakur, the central government’s nominee for the NAFED director’s post, sought an appointment with the Lieutenant Governor Najeeb Jung on Saturday to discuss the issue of rising prices of onions. Thakur is keen on discussing the “insensitivity of government of NCT of Delhi towards price inflation to various commodities, especially onion”. Delhiites will now have to pay Rs.100 for generating sewage in the city as per a new ruling by the Delhi government. The AAP government will now charge that amount from every household in the national capital as recommended by the National Green Tribunal (NGT). A government spokesman said that the government has decided to act upon an NGT order which said that an environment cess should be levied on households and equal amount should be charged from households in unauthorised colonies. The AAP-led Delhi government on Friday approved higher time-bound pay scales for DANICS officers who have been serving their respective posts for more than 13, 18 and 21 years. DANICS are those civil officers who are deputed to serve senior and mid-level positions in the Delhi, Daman & Diu, Lakshadweep, Dadra & Nagar Haveli and Andaman & Nicobar Islands governments. A Delhi government spokesman said, “While DANICS officers are eligible for promotion to IAS after completing eight years of continuous service, it has actually been taking on an average 27-28 years for promotion to IAS. This had resulted in a lot of stagnation and consequently, dissatisfaction among the members of the service”. Veteran Bollywood actor and BJP leader Shatrughan Sinha called upon Delhi Chief Minister Arvind Kejriwal on Thursday. Sinha, dissatisfied with the policies of his party, applauded the AAP government in Delhi for its work since it assumed power. Kejriwal's deputy Manish Sisodia and party leader Ashutosh denied any speculations that the two discussed politics during an hour-long meeting. Sinha said that he “discussed Art & Culture” while Kejriwal said, “We want to open a film city in Delhi and that is what I discussed with Shatrughan Sinha in the meeting”. The Delhi High Court on Thursday was informed by the AAP government that it ran the ad campaign to spread awareness about the government's policies and priorities, which is good for people to know. The Delhi government clarified its stand in front of Justice V.P. Vaish who was hearing a petition challenging the legality of the AAP government’s running of advertisements criticising Union Government and Delhi Police and allegedly lauding Delhi CM Kejriwal. Misleading statements and rumours on onion prices should not be allowed by the National Agricultural Cooperative Marketing Federation of India (NAFED), said the AAP government in Delhi. The Delhi government asked NAFED whether the statement given by one of its board of directors is its official position. NAFED's nominated director Ashok Thakur had accused the Delhi government of ignoring warnings over onion prices. The Delhi government, on Tuesday, decided to sell onions at Rs. 40 per kg through the fair price shops at 280 locations across Delhi. In order to impose the fundamental rights of women and their security in Delhi, the draft charter of the Women's Rights Bill, 2015 was released by the government on Wednesday for public consultation. If the proposed bill becomes a law, then the Delhi Commission of Women will be further strengthened with more judicial and administrative powers. Ashish Khetan, Vice Chairman of the Delhi Dialogue Commission said, “People can also visit the office of DDC to give suggestions and DDC will also organise round table at the commission where each and every section of the proposed bill will be discussed”. The feud between Delhi government and Lieutenant Governor Najeeb Jung has just gone worse as the latter has asked the government for a file related to the notification of the raise in the circle rates of the agricultural land. The LG's office has said that the news of the notification for the raise in circle rates are doing rounds within media, while he was not consulted before the release of the same. However, the government sources said that the file was sent to LG late on Wednesday evening. Delhi Chief Minister Arvind Kejriwal might land himself in yet another controversy for his remarks. He has termed the Delhi Police as 'agents' of Prime Minister Narendra Modi and “speed-breaker” in the road to Delhi's development. Speaking at the special session of the Delhi Assembly, Kejriwal said, “In Delhi Police, officials in the lower rung are very brave and are doing very good work. Those at the top have become the agents of the BJP and Narendra Modi”. The Delhi CM had earlier referred to the Delhi policemen as “thullas”, for which he had to apologise. The turf war between the Delhi government and Lieutenant Governor Najeeb Jung intensified further as the government slammed Jung for 'not consulting' the former before issuing orders to prosecute AAP MLA Somnath Bharti in the Khirki Extension case. Delhi Home Minister Satyendra Jain said on Tuesday that Jung should have consulted him before giving his nod. “LG thinks he is the government. He is doing what he wants without consulting an elected government”, said Jain. Onions will be sold at Rs. 40/kg in Delhi at the Fair Price Shops, the AAP government announced on Tuesday. Delhi CM Arvind Kejriwal presided over a cabinet meeting where it was decided that the government would sell onions at cheap prices. The move has been made in connection with the steeply rising prices of onions in Delhi. Asim Ahmed Khan, Minster of Food and Civil Supplies said, “The department of Food and Civil Supplies had begun its preparations to counter a possible rise in prices of onions in the rainy season since April. Teams of Small Farmers Agro-Based Consortium (SFAC) were stationed at Nasik and were directed to procure and store adequate stocks of onions at hygienic cold stores”. Arvind Kejriwal was called upon by the students of Film and Television Institute of India (FTII) in Pune on Tuesday in connection with the appointment of actor Gajendra Chauhan as the FTII Chief. A delegation of the agitating students met Kejriwal who assured them of every possible assistance in the matter. “Our meeting with Kejriwal was very brief as he just wanted to know the issue. We told him entire appointment row and we are hopeful that the issue will be taken forward by him in best possible way. He has not assured us anything yet as it was first interaction with us”, said Vikas Urs, Secretary of FTII Students Association. Former Chief Justice of the Delhi High Court, Justice AP Shah has been reportedly chosen by the Delhi government to fill the post of Delhi's Lokayukta. Shah has also worked in the capacity of the Chairman of the Law Commission. The post of the Lokayukta has been lying vacant for over a year and a half now. Delhi is all set to get a State Human Rights Commission and the Delhi government has started the process for its formation. Chief Minister Arvind Kejriwal on Tuesday told media that his office received a file proposing the setting up of the commission by the Home department of Delhi. He said that the work for its establishment has started. Delhi CM Arvind Kejriwal yet again on Monday demanded the control over Delhi police to be handed over to his government. He said that he would make Delhi the 'world's safest city' if the Delhi police is brought under his jurisdiction. Kejriwal was speaking at the special session of Delhi Legislative Assemblywhere he said, “I want to ask Modiji... Either improve the situation of law and order in Delhi or after six months give us the powers. We will make Delhi the safest city in the world”. The AAP government in Delhi on Monday recommended that a special commission be set up to see the matters in which the Delhi Police does not act on cases of crime against women. A proposal was passed by the government at the special session of the Delhi Assembly todiscuss ways of ensuring women safety in Delhi. However, the BJP raised objections over the proposal. The Delhi High Court was apprised by the Arvind Kejriwal led Delhi government on Monday that a total of 22.33 Rupees were spent by the government over various advertisements highlighting its achievements. This amount was spent by the government after the apex court ruled that “the taxpayer's money cannot be spent to build the image of political leaders”. The Delhi government's counsel Raman Duggal turned down the allegations that huge amount of money was spent by the government. Former Law Minister of Delhi, AAP's Somnath Bharti has got his feet stuck in yet another controversy triggered by his statement in which he said that there will be a 'safer Delhi for beautiful women' if the Delhi government is accorded enough powers in the city. “I am fully confident that if Delhi government is given full freedom (over security), beautiful women will be able to go out even after midnight without any fear”, he said. Arvind Kejriwal was provided some relief on Monday by the Allahabad High Court, which announced a stay order on the bailable warrant issued against the Delhi CM by an Amethi court. However, the stay is for four weeks as of now. The warrant was issued against Kejriwal for allegedly delivering a provocative speech in Uttar Pradesh during the parliamentary elections last year. Delhi government has decided to launch a health survey of children under five. After launching the first of the 1,000 mohalla clinics in July, the Delhi government is now focussing on this project wherein the health officials will conduct check-ups and necessary treatment will be provided in government health facilities. The health department will conduct door-to-door surveys in slums and JJ colonies to gather information on children under five. Congress leader Ajay Maken warned AAP that the party would intensify its protest if the anti-corruption watchdog wasn’t constituted within 15 days. The Congress staged protests across 14 districts of Delhi and criticised the Kejriwal government for not constituting a Lokpal for Delhi. The protest was the largest organised by the Congress party sever since the AAP government came to power. Delhi government stoked a fresh controversy after it made a pitch for making Chief Minister Arvind Kejriwal the co-chairman of the Delhi Development Authority. Currently, the Lieutenant Governor heads the agency. According to the government, DDA should have officers from Delhi government who have the experience of handling urban and land-related issues of the city. At present, the DDA has no official representative of the Delhi government. The AAP MLA Pankaj Pushkar fired a fresh salvo against Delhi government for its decision to spend Rs. 526 crore on advertisements for self-promotion. Pointing out the fact that the AAP government had earlier questioned other political parties for misusing public fund, Pushkar said that AAP is now doing the same thing by wasting taxpayers’ money. The Delhi government, on Friday, notified the increased luxury tax from 10 to 15 per cent. It has come into force from Saturday, 1 August. Staying in luxury hotels, dining in restaurants, and going to spas in Delhi will now become costlier. Deputy Chief Minister Manish Sisodia had tabled the proposal to increase luxury tax in the Assembly in June. The BJP government upped the ante against AAP government in Delhi by coming up with accusatory posters questioning the government's expenditure on its advertisement campaigns. The poster, which bears the signature of the vice-president of the Delhi, lists things that the Arvind Kejriwal government can do with the 526 crore rupees it has allocated for advertisements. The poster suggested that the money could be utilised to buy five lakh cameras for women's security or 2000 new buses and pension for five lakh people. The AAP, on Saturday, said that the BJP should let the Delhi government do its work. In an indirect reference to the posters released by the BJP, the AAP leader Dilip Pandey said that the government has been working for the people despite the hurdles. He also stated that the Delhi government has started posting guards in buses and putting CCTV for women's security. Delhi government finds itself at loggerheads with the Law Department after the latter went against the AAP Government on the issue of notification related to hike in circle rates in the national capital. While the AAP wanted the notification to be issued without the Lieutenant Governor Najeeb Jung’s consent, the Law Department made it clear that his permission is mandatory. This recent development might see a fresh round of confrontation between the Chief Minister Arvind Kejriwal and the Lt. Governor. Delhi Chief Minister Arvind Kejriwal, on Thursday, called on President Pranab Mukherjee to apprise him about the issues flaring up the ongoing political tussle between AAP and the Modi government. However, the government spokesperson refuted the claim that Kejriwal has discussed the issue of rift with Lt. Governor Najeeb Jung or the NDA government during the hour-long meeting with the President. The Delhi High Court asked the AAP government on Wednesday to submit a status report on its ad expenditure ever since the Supreme Court put a ban on government ads promoting its accomplishments. The court also asked the central government about the progress it has made in establishing an implementing body to ensure compliance with the guidelines. The HC was acting on the petition filed by the Delhi Congress chief Ajay Maken that accused the AAP government and Modi-led NDA government of misusing public funds for politically motivated advertisements. The Delhi government, on Wednesday, announced that it will build an improved Bus Rapid Transit (BRT) section after the earlier one was scrapped. The failure was attributed to design flaws rather than the ineffective implementation, which is commonly believed to have spelt disaster for the BRT corridor. While Delhi Chief Minister affirmed that the government will soon give the city a new and improved BRT, starting with outer Delhi, the Public Works Department Minister Satyendar Jain said that BRT was the only solution for the people as the Delhi Metro alone can't meet the city’s transportation needs. The AAP government voiced a protest over the Centre's decision to transfer two Delhi officials. According to the Delhi Chief Minister Arvind Kejriwal, the central government transferred two of the best officers without consulting him. According to a Delhi government official, the Union Home Ministry has transferred the Value Added Tax (VAT) commissioner Vijay Kumar and Director of Education Padmini Singla. The former has been sent to Lakshadweep. Kejriwal took a jibe at the Modi government asking whether it was an example of 'cooperative federalism'. The hoardings and advertisements attacking Prime Minister Narendra Modi and his government at the Centre were removed by the AAP-led Delhi government on Tuesday. The AAP government's advertisements were targetted at PM Modi asking him to let the Delhi government work and put no road blocks in its way. The advertisements were put up at several locations across Delhi and also aired on TV and radio stations. The AAP-led Delhi government has moved the High Court and sought a legal action to be taken against M.K. Meena, the ACB Chief, for allegedly violating the law by removing an official of the Anti-Corruption Bureau. On the same day, when the Delhi government's plea requesting the High Court to stop Meena from working as the Chief of ACB was turned down, the senior bureaucrat had appointed inspector Brij Mohan as the SHO of ACB and removed Vinay Malik from the said post. The Higher Education and Skill Education Guarantee Scheme of the Delhi government will be named after former President of India Dr. A.P.J. Abdul Kalam. The Delhi government decided on Tuesday that this programme will now be known as 'Dr. A.P.J. Abdul Kalam Higher Education and Skill Eduction Guarantee Scheme'. The special assembly session of the Delhi legislative assembly on Tuesday was adjourned and postponed till 3 August after the house paid homage to the deceased former President and rocket scientist Dr. A.P.J. Abdul Kalam. After the house was adjourned Chief Minister Arvind Kejriwal, his deputy Manish Siodia and the speaker of the Delhi assembly Ram Niwas Goel hurried to 10, Rajaji Marg to pay tribute to the former President. Delhi's Lieutenant Governor Najeeb Jung finally on Monday approved the appointment of Swati Maliwal as the Chief of Delhi Commission for Women (DCW). The Delhi government had appointed Maliwal to the said post few days ago, after which the L-G raised serious questions over the appointment and termed it unconstitutional. Veteran BJP leader L.K. Advani took some time out to meet the Delhi Chief Minister Arvind Kejriwal at last. Kejriwal and Advani were to meet about a month ago but the visit got cancelled by the latter at the very last minute due to reasons unknown. Advani's residence in Delhi was the place where the two met on Monday. Close sources of the AAP government said that the duo discussed various challenges the city government faced in the recent past and the present political scene in the country. “The meeting was a courtesy call. Both leaders had wanted to meet after the last appointment was cancelled,” a government source said. The AAP government in Delhi may again find itself in a legal spat with the Centre as the Union government is now trying to see the modalities it can follow to legally frame Delhi government for its promotional ads that allegedly defame Prime Minister Narendra Modi. The Central government is trying to check the legality of the AAP's ads and have them removed permanently. A committee will be set up by the Ministry of Information & Broadcasting to see the whole matter through. “We are looking at appointing a panel of three experts such as a retired bureaucrat or an advertising expert to examine the ads. But since there is no act in the country that looks at public funded ads, we are taking time to study the nuances”, a government source said. The face of India's modern anti-corruption movement and veteran social activist Anna Hazare met and asked Arvind Kejriwal on Sunday to reconcile with expelled AAP members Yogendra Yadav and Prashant Bhushan. Hazare told the Delhi CM that he should not have expelled his old chaps. Kejriwal, reportedly, apprised the veteran activist about the work done by the Delhi government. A source said, “Anna (Hazare) raised the issue of Yogendra Yadav and Prashant Bhushan's expulsion with Kejriwal. He told them that they are old colleagues who have been part of the anti-graft movement. Kejriwal also briefed Anna about the work he has done in the past months — initiatives like the Aam Aadmi canteen, mobile clinic and the anti-graft work undertaken by the Delhi government”. Around 80 people a day are killed in Delhi due to the city's extremely hazardous environment and the ever rising pollution according to a study. In a bid to check the pollution situation in Delhi and to make the city's air fresh, a new campaign called 'public programme' will be launched in August by the AAP government. A Delhi government official said, “Chief Minister Arvind Kejriwal has clearly told officials that air pollution is Delhi's biggest problem. Citizens will be part of this initiative which will have high-impact awareness drives. More efficient pollution tests and a broader pollution monitoring will be at the helm of this programme. Delhi Chief Minister Arvind Kejriwal on Saturday apologised for his controversial remark 'thulla' while referring to Delhi Police a few days ago. Kejriwal said that if his alleged comments hurt any honest police officers and personnel, then he was sorry and apologised for the same. Though, he still tried to justify his remarks saying that he was referring to those police personnel who bullied and threatened the poor and the downtrodden. A sort of 'poster war' sparked off in Delhi as the city government is now getting strong replies from various quarters against its posters attacking the NDA led central government. Delhi government's posters that allegedly attacked the Modi government to stay away from the AAP government's affairs and function it smoothly, have been replied to by Bhagat Singh Kranti Sena opposing the Delhi government's stand against the Centre. The Delhi BJP is also planning to expose the downside of Kejriwal government by putting up posters and hoardings across the national capital soon. The controversy regarding the Delhi government's anti-graft helpline no. 1031 just seems to have escalated. The fresh controversy is related to the tender of the purchasing process of the helpline. Subodh Jain, a lawyer, had filed an RTI and inquired about the whole process of the launch of the helpline, which was supposed to be replied to within 30 days. But he did not get any response for about two months. The lawyer filed a written complaint with the ACB (Anti Corruption Bureau) and against the AAP government on Thursday, addressing which the ACB Chief MK Meena has set up a probe committee. Manish Sisodia, Deputy Chief Minister of Delhi, was sent a legal notice on Friday by the expelled AAP leader Prashant Bhushan. Mr Bhushan alleged that the Minister unconstitutionally regularised the contractual teachers in Delhi. “I have sent a legal notice (to Sisodia) as regularising contract teachers without giving an opportunity to others for such appointments is wrong. The Supreme Court had said such appointments would be illegal as other outsiders too, deserve an equal chance. Some of the disgruntled teachers had come to me and on their behalf I have sent the notice and sought a reply within seven days”, he said. The Delhi High Court (HC) on Friday was apprised by the Delhi government that the procedure for appointment of Lokayukta in Delhi has been initiated. The post has been vacant for 20 months now. The AAP government told HC that it was “firmly committed to implementing the Lokayukta Act”. The High Court was hearing a plea seeking “immediate appointment” of the Lokayukta. All three Municipal Corporations of Delhi have been instructed by the city government to fully cooperate in monitoring the developmental work in Delhi. The Commissioners of the three MCDs were issued instructions by the Deputy Chief Minister Manish Sisodia to monitor the developmental work being done in the national capital from government funds. “All the three municipal corporations should cooperate with the Quality Assurance Unit in the monitoring of developmental works in the city”, said Sisodia. The file pertaining to the appointment of Swati Maliwal as the Chief of Delhi Commission for Women (DCW) was on Friday returned to the Delhi government by the Lieutenant Governor Najeeb Jung without signing it. Jung told the Kejriwal government that he was not against the appointment of Maliwal, but the government should follow the right process. Delhi Chief Minister Arvind Kejriwal and PWD Minister Satyendra Jain on Friday called upon the Union Minister for Road Transport Nitin Gadkari. The three discussed various ways for upgrading Delhi's transport system. The three held talks for over an hour at the Parivahan Bhavan in New Delhi. Manish Sisodia, Deputy Chief Minister of Delhi, levelled serious charges against Prime Minister Narendra Modi on Thursday. Sisodia alleged that the PM is trying to dismantle the Anti-Corruption Bureau (ACB) of Delhi and the Delhi Commission for Women exactly the way he has done with the CBI and the Enforcement Directorate. He has also appealed to the PM that he should not put roadblocks in the Delhi government's way and make smooth functioning of the ACB possible. The rift between the Delhi government and Lieutenant Governor of Delhi widened further after MK Meena, Chief of Delhi Anti-Corruption Bureau (ACB), scrapped the anti-corruption helpline no. 1031 set up by the government. MK Meena was appointed as ACB Chief by the LG Najeeb Jung. Meena argued that the government was no longer serious towards the complaints lodged with this particular helpline, thus he had to scrap it and launch a new service. The new helpline numbers issued by the ACB are 011-23812905 and 011-23812906. The AAP government sent files related to the appointment of Swati Maliwal as the Chief of Delhi Commission for Women (DCW) to Lieutenant Governor Najeeb Jung. The L-G on Tuesday had alleged that Maliwal's appointment was unconstitutional as he had not been consulted before the Delhi government appointed her to the said post. Sisodia said that the Delhi government did not want to create another controversy so they sent the file to L-G. Yet another plea against Delhi Chief Minister Arvind Kejriwal was filed with the High Court on Thursday, asking the court to take action against him for allegedly misguiding the people. The plea said that Kejriwal misguided the people of Delhi by falsely spreading the news that the PIL seeking ban on government's ads has been rejected. It further says that the High Court ruling on 15 July was misinterpreted by the government. Lieutenant Governor of Delhi Najeeb Jung and the AAP government have come face to face over the appointments of bureaucrats yet again. A day after the LG questioned the appointment of Swati Maliwal as the Chief of Delhi Commission for Women (DCW), a new controversy has sparked off. Suspending the Delhi government's orders of deputing Maliwal as DCW Chief, Najeeb Jung has advised a new commission should be set up. However, the Delhi government has refused to rethink over the appointment. The Leader of opposition in the Delhi legislative assembly Vijendra Gupta of BJP has supported the stand taken by the Lt. Governor against the appointment of Swati Maliwal as DCW Chief. Gupta attacked Delhi CM Arvind Kejriwal saying that ever since AAP has assumed power in Delhi, Kejriwal has been repeatedly committing 'unconstitutional' acts. Gupta further said that the CM deliberately wants to take on the Centre. The Delhi government has clarified its position over scrapping of the controversial BRT corridor after a few environmentalists questioned government's decision. Gopal Rai, Delhi Transport Minister, said on Wednesday that the government was not against this corridor or such a concept, but it became a major addition to Delhi's traffic woes and thus had to be scrapped. The Minister also said that the Delhi government will be back with a much more compact plan. Arvind Kejriwal now has a defamation complaint filed against his name over his allegedly disgraceful remark in which he referred to Delhi Police as 'thullas'. A Delhi Police constable deployed at the Govind Puri police station has filed a complaint against him saying that he is deeply hurt by the CM's remarks. The complaint also states that the CM has deliberately tried to provoke Delhi Police by defaming the force. The AAP led government in Delhi has decided to scrap the controversial BRT corridor. It had promised to take off the problematic BRT corridor during the 2013 assembly elections. The Delhi government approved the proposal to scrap the corridor after a cabinet meeting held on Tuesday. The government is yet to think over ways as to how the scrapping will be done. A special session of the Delhi assembly has been called by the Delhi government to take on the Central government and the Delhi Police over the women safety issue. The special session will commence on 28 July. A special commission will be set up in the special session, which will advise the government to help it handle the cases of crime against women in a better and more efficient manner. The Delhi government was again attacked by the state BJP for accusing the Central government and the Prime Minister of neglecting and being non-serious towards Delhi law and order situation. Delhi BJP Chief Satish Upadhyay stated that CM Arvind Kejriwal's attitude was irresponsible and he could downgrade to any limit to earn cheap publicity. Shyam Jaju, BJP national vice-president, said that the AAP government in Delhi had terribly failed and has been pointing fingers on PM Narendra Modi for all its mistakes and failures. The tug-of-war between Delhi Chief Minister Arvind Kejriwal and Lt. Governor may not be completely over as yet. Delhi's Lt. Governor Najeeb Jung has now questioned the appointment of Swati Maliwal as the Chief of the Delhi Commission for Women (DCW) by the Delhi government. Jung has asked the Arvind Kejriwal government as to why the CM did not consult him before the appointment. Even the former Chief of DCW, Barkha Singh threw her weight behind Jung saying, “he (Kejriwal) is not interested to work but fight only, every appointment should be constitutional. I think Kejriwal knows it well”. Delhi Chief Minister Arvind Kejriwal met Police Commissioner B.S. Bassi and held talks with him for an hour and a half. Delhi's Home Minister Satyendra Jain, who was a privy to the discussion, told media that the issue of women safety and the law and order situation in the national capital was discussed but Bassi did not give a satisfying response to issue raised by the CM. According to Jain, the Police Commissioner termed the stabbing of a 19-year-old girl in Anand Parbat area of New Delhi as a consequence of a quarrel between neighbours and not that of molestation. Bassi has reportedly urged the Delhi government to pay Rs. 5 lakh to the family members of 500 people murdered in the city. The National Green Tribunal (NGT) has raised questions over the AAP government's plan to introduce 10,000 new buses in Delhi. The Delhi government has been asked by the NGT whether the former has conducted any study in this regard or thought over the possible surge in pollution these many buses might cause. The NGT also asked the Delhi government to conduct a study, if not yet, to see whether the city is capable enough to accommodate so many buses. Amethi court issued a warrant against Arvind Kejriwal on Monday for allegedly violating the election code of conduct during the 2014 General Elections. The civil judge of Musafirkhana has ordered Kejriwal and summoned him to court on 5 August. A non-bailable warrant was issued against Kejriwal earlier, for which the case was heard on 18 July. Mayor of North Delhi Municipal Corporation, Ravindra Gupta, called on the Delhi CM on Monday and requested him to release required amount of funds to be given as pension to the elderly. The mayor said that due to non-release of funds, around 80,000 families have not received pension for the last 10 months. Gupta asked Kejriwal to release Rs. 500 crore under the Municipal Reform Fund. The CM, reportedly, has assured the mayor of a possible solution. On Sunday, Prime Minister of India Narendra Modi was urged by Chief Minister Arvind Kejriwal to bring Delhi Police under his government's control. To throw more weight onto his demand, Kejriwal referred to the brutal murder of a 19 year old girl and said that the criminal incidents are on the rise in Delhi and women are no more safe in Delhi. He said, “I request Prime Minister Narendra Modi with folded hands that the control of Delhi Police be handed over to us. He has to run the whole country. I am not saying Delhi Police officials are wrong. They are very good people and are working but the system is bad. Even police officials themselves are frustrated with this and no improvement is happening”. The app based radio taxi companies in Delhi like Ola and Uber have been directed by the Delhi government to only run those vehicles which are fueled by CNG, have a GPS system installed and driven by license-holding drivers. The directions, according to government officials, have been issued keeping in mind Delhi's air quality and women safety. Delhi's Transport Minister Gopal Rai said, “We verified the data provided by Uber, Ola Cabs and found that over 80 per cent of their taxis are diesel-run which contribute to polluting Delhi’s air extensively. We will not allow to run such taxis in Delhi at any cost. Uber and Ola have to bring all their taxis on CNG. Government cannot compromise over pollution issue”. Delhi got its first 'Aam Aadmi Clinic' on Sunday when the first of its kind clinic was inaugurated by the Chief Minister on Sunday at Peera Garhi in West Delhi. The Delhi government has its eye targeted to open 1,000 such clinics in Delhi within a year’s time. Kejriwal said at the Peeragarhi Relief Camp, “This clinic has been set up at a very low cost, it has been set up at a cost of around Rs. 15-20 lakh, whereas earlier a dispensary used to cost much higher. This clinic has all testing facilities too, so patients can get any test, from blood tests to ECG, done”. Prime Minister Narendra Modi was attacked by the CM Arvind Kejriwal on Saturday for the stabbing of a young girl by two brothers in Delhi's Anand Parbat area. Hinting towards the NDA government in the Centre, Kejriwal said that the government has failed to maintain the law and order situation in Delhi, he said “Delhi Police is under the Centre. The Prime Minister should either act or transfer Delhi Police's command to the Delhi government”. A detailed report was requested by Delhi CM from Delhi's Police Commissioner pertaining to the brutal killing of a 19 year old girl in Anand Parbat area of New Delhi on Thursday. Kejriwal said, “I will summon the Delhi Police commissioner on Monday. If Delhi Police is not accountable to the elected government, how will law and order be maintained”? He added, “The Delhi Home Minister has asked the Police Commissioner to submit a report within 48 hours”. The Delhi BJP on Saturday accused the Aam Aadmi Party (AAP) of creating a fresh controversy whenever its works or deeds are questioned. Nalin Kohli, BJP spokesperson said, “Each time the AAP Government comes under the scanner, to divert the focus from the controversies Kejriwal and his party are facing, he creates a new controversy. Whether it is the Jitender Tomar case, or whether there are complaints like sewage water getting mixed with drinking water in Malviya Nagar, the Delhi Government is taking no action even though the Jal Board is under them”. Delhi Chief Minister Arvind Kejriwal came under attack for allegedly referring to Delhi Police personnel as “thullas”, a slang often used in the NCR for police. Delhi Top Cop B.S. Bassi slammed Kejriwal for using such a derogatory term for the police force. “I refuse to believe the Chief Minister could have used such a word, but if he has, it is very unfortunate and derogatory”, Bassi said. Ashish Khetan, considered to be a close associate of Delhi CM Arvind Kejriwal, was on Friday given a rank equivalent to that of a cabinet minister and was appointed as Delhi Dialogue Commission's vice-chairman . Deceased journalist Akshay Singh's sister was on Friday offered a job by the Delhi government. The Delhi government offered the post of Assistant Manager to Pakshi Singh, sister of former Aaj Tak employee who was having a close look at things in connection with the Vyapam scam case. 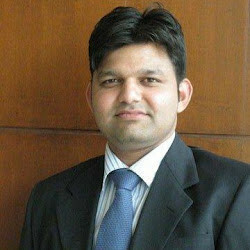 An official said, “Pakshi has been offered the post of legal assistant manager in DSIIDC in the Pay Band-2 of Rs. 5200-20200+2400 (Grade Pay) plus allowance”. Now fresh meal will be provided at the cost of just Rupees. 5 to10 at the 'aam aadmi' canteens proposed to be started by the AAP led Delhi government soon. Commercial institutes, hospitals and industrial areas in Delhi will be the first where the canteens will be opened. The canteens will be run by the Food & Civil Supplies department. Chief Minister Arvind Kejriwal on Thursday accused PM Modi of using Delhi Lt. Governor Najeeb Jung against the Delhi government. He alleged that the NDA government in Centre was trying to disturb the functioning of the Delhi government through various unfair means. A fresh legislative move by the AAP government in Delhi would mean that watching movies and TV is going to be more expensive in Delhi from now on. A notification was issued by the Delhi government on Thursday stating that entertainment tax in Delhi has been hiked, with effect from Monday, 20 July 2015. There has been around 20 to 40 per cent hike in the entertainment tax chargeable in Delhi. A new medical scheme named “Home to Hospital” was launched in New Delhi by the city government on Thursday. This scheme will provide free ambulance service in Delhi. Chief Minister of Delhi Arvind Kejriwal chaired a cabinet meeting on Thursday, in which it was decided that the Centralised Accident and Trauma Services (CATS) will offer a meansto the people to avail the service. A government official said, “here (we)would (provide) 100 basic life support and 10 advanced life support ambulances. Additional manpower for the new ambulances as well as human resource deficit in the existing 155 ambulances and Control Room would also be taken care of”.